Two undying themes in the now completed four-game series between the Salem Red Sox and the Winston-Salem Dash: Lots of scoring, and lopsided final tallies. On Thursday, the Dash crushed the Sox 12-5, sealing a series split. Games in the series were decided by a combined 29 runs. Outhitting the Red Sox 16-8, the Dash chased Salem starter Kyle Stroup after three and two thirds innings. Stroup fell to 4-6 with the loss, allowing five earned runs on 10 hits. Contrastingly, Winston starter Bryan Blough earned the win improving to 7-4, tossing seven innings of six-hit ball, giving up two earned runs. Heri Quevedo cleaned up Stroup’s fourth by stranding two, but fell apart in the fifth in his first appearance back from the disabled list. He allowed four earned runs in one and one third innings on two hits and four walks. Sox reliever Nate Striz pitched a scoreless sixth but permitted three runs in the seventh. Salem rallied in the top of the eighth to score three on RBIs from Blake Swihart, Matt Gedman, and Cody Koback, but that only cut slightly into the Dash lead. After Salem sprinted ahead in the first inning in the previous two contests, Winston-Salem scored three in the first this time around. Salem bounced back for two in the third, before Winston added one in the fourth and three in the fifth, to create a 9-2 lead. The Dash led 12-2 after seven before Salem’s strong eighth. Dash catcher Kevan Smith reached base in all five of his plate appearances, going 4-for-4 with three singles, one double and a walk. After playing zero games since May 2 that lasted three hours or less, the Red Sox have played two games exceeding three hours in the last two days. 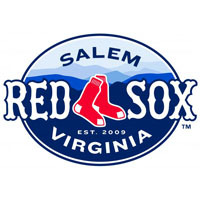 Salem returns home from a seven-game road trip to face the Carolina Mudcats on Friday. Williams Cuevas will start for Salem against Mike Pasquale for Carolina, with first pitch scheduled for 7:05 pm.